‘The Yes Men’ are Jacques Servin and Igor Vamos, aka Andy Bichlbaum and Mike Bonnano. From their office in Milwaukee they have spent the last few years using subversion to try and shake up the world, or at least the USA, and become the bogeymen of big business and its machinations. For the project “The Yes Men Fix the World”, the duo produced a special edition of the New York Times containing only good news. The film presents the project and public reaction to it. 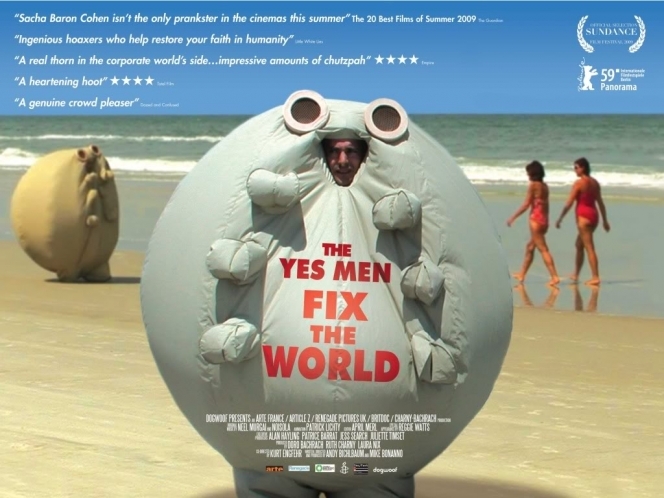 The film "The Yes Men Fix the world” showed how young people inspire the public and politicians through unconventional campaigning methods. How much could we learn from their experience? This workshop will guide the participants through a thinking process of framing a campaign on environment issues.